United Airlines has ended service to two secondary Chinese cities, but a bigger change comes from American Airlines suspending Chicago-Beijing service until American can relocate to Beijing's new airport at Daxing in 2019 and grow its partnership with China Southern. Even with a relatively short time to wait (assuming American will still want to resume the service), American is not willing to stomach losses for the interim. American's Chicago-Beijing service has been troubled since before it started; American struggled to secure slots. American now has better slots, but they preclude connections in Beijing. Its former partner Hainan was in a separate terminal and had limited inventory for onward connections. Chicago-Beijing became too low yielding, partially because of limited feed at both ends of the route. American has a late Beijing arrival slot and early departure slot, which preclude connections. American's former partner Hainan had limited inventory for beyond Beijing connections, and the MCT was high due to different terminal location. The crux of the problem for American’s Chicago-Beijing flight is that the service was competing in that O&D market. Due to slot and partnership challenges, American was unable to leverage hub functionality in Beijing. 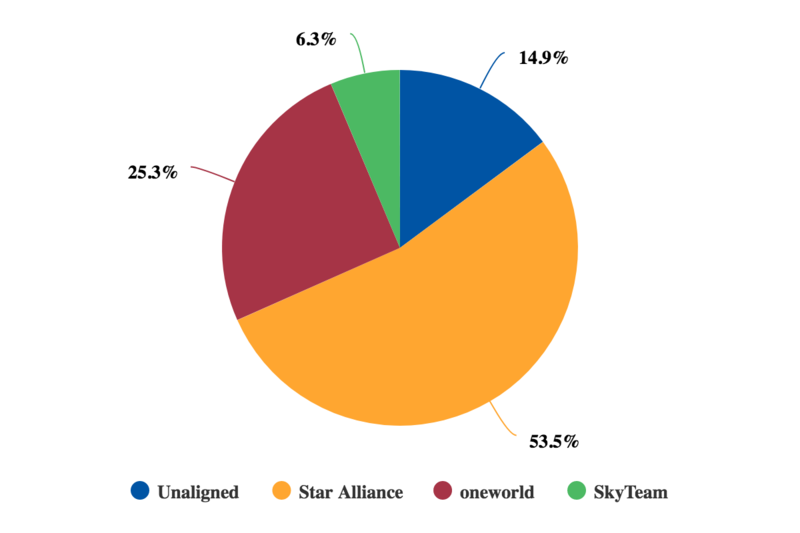 Its own Chicago base has not been a strong market in terms of connecting traffic for oneworld airlines, who are outshone in Chicago (measured by size and performance) by United and its Star partners. O&D traffic became too low-yielding. There has been considerable yield pressure in recent years in the China-US market (among other markets from China), but Chicago-Beijing was particularly impacted by Hainan not selling much behind Beijing or beyond Chicago traffic, resulting in steep discounting for local traffic that American was unwilling to continue matching. Hainan has a number of low-yielding trans-Pacific routes but these tend to be from secondary Chinese cities, and are backed by subsidies. Hainan's Chicago service is one of its few blue-chip routes from a primary Chinese city to another primary foreign city. Hainan served Chicago before Air China, which – under Chinese policy – precluded Air China from serving the market. Air China would likely be a more rational competitor as it would be able to leverage its much larger domestic China and regional Asia markets, and also connect beyond Chicago with its partner United. This would have preserved local yields. Slots for American's Chicago-Beijing service were a problem before the airline even launched the service. And in recent times American has used a slot for a 20:20 arrival time at Beijing Capital. This is much later than American's other Beijing services: the LAX flight arrives at 14:00 and the Dallas flight arrives at 17:10. United's Beijing flights arrive between 13:35 and 15:15 (the latter being United's Chicago flight); Delta's Beijing flights arrive from 14:45 to 19:50; Hainan's Chicago-Beijing flight arrives in Beijing at 18:05. American's 20:20 arrival precludes domestic flight connections. Although this is a weakness, Beijing is a high-yielding O&D market, and onward connections are not as productive because they are often lower-yielding. 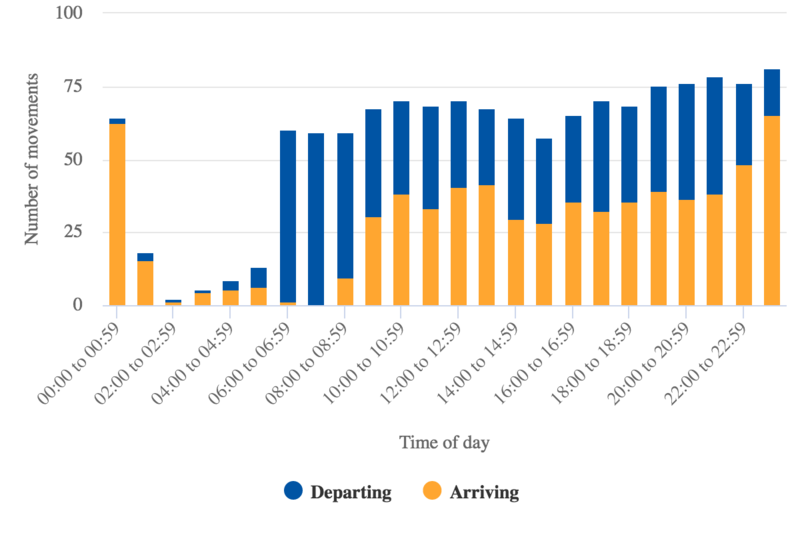 More problematic may have been the late arrival time restricting reasonable transportation options to the greater Beijing catchment area, as well as to Beijing itself. The city tends to shut down early, like others in China. Ground transportation was a challenge for airlines using late night arrival slots at Tokyo Haneda, although these slots were even later than those American uses in Beijing. American's 10:10 departure from Beijing Capital likewise precluded outbound connections from elsewhere in China to Beijing. Domestic arrivals at Beijing Capital peak between 10:00 and 14:00. United is Chicago O'Hare's largest airline presence, operating 45% of system seats. American is the second largest, with 35%. (Third largest, by some margin and with just 4%, is Spirit. 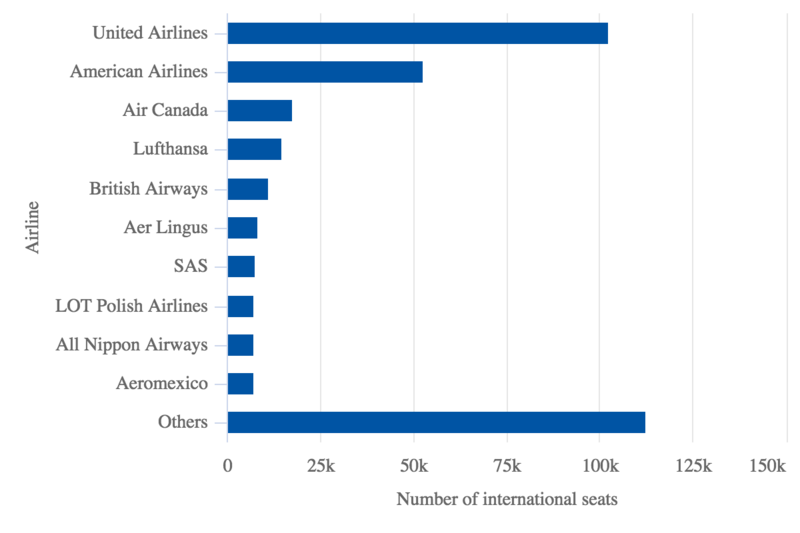 United operates almost twice as many international seats as American. This improves United's overall customer proposition, besides its sheer size. United's reach to corporate markets is further bolstered by the strong presence from its Star Alliance partners. 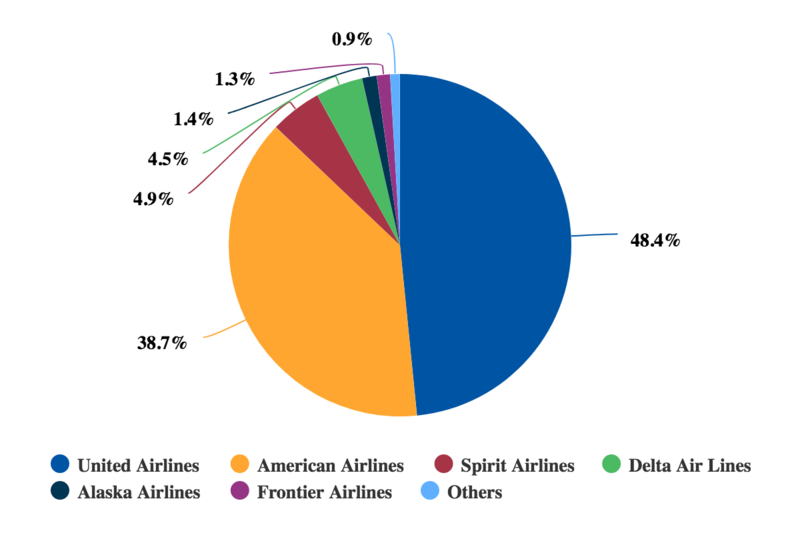 Star members account for 54% of O'Hare's international seats, compared to only 25% from oneworld. Domestically, United has a wider reach and operates to 140 US cities from Chicago, compared to 114 from American. Oneworld members have often found that Chicago is a weak hub for them. American's weakness in Beijing was made worse by Chicago not being as strong a hub as it could be. If American had better slots at Beijing Capital for its Chicago service, that would open theoretical connections. But American would still be challenged in seizing connecting opportunities. Its former partner is Hainan Airlines, which was the fourth largest airline at Beijing Capital but with a 12% share of domestic seats. 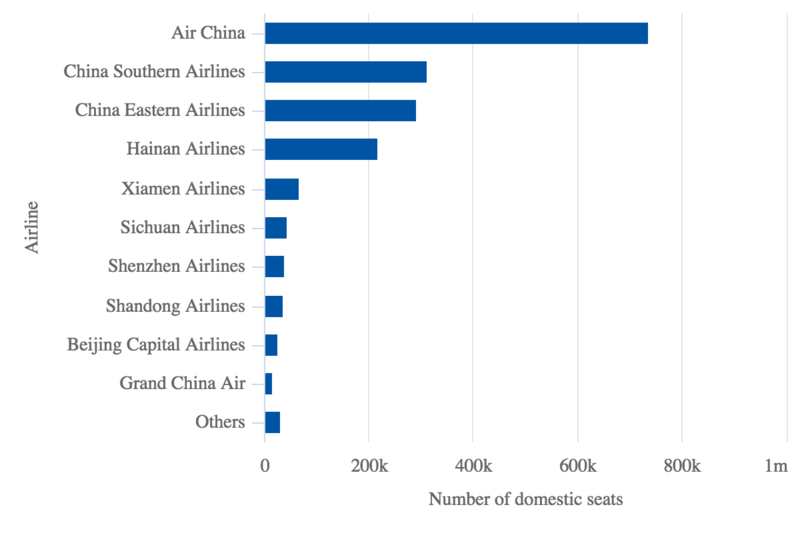 China Southern has 45% more domestic seats than Hainan Airlines at Beijing Capital. Beijing is a hub for China Southern but for Hainan, Beijing is its operational home and largest base. Hainan's small size in Beijing was a function of being unable to secure more slots. As Hainan had far more demand than available capacity, it was reluctant to make domestic inventory available to partners, notably American. Firstly, this would often result in Hainan replacing a high-yielding local passenger with a lower-yielding connecting passenger. Secondly, American and Hainan compete on trans-Pacific flights, so Hainan would have preferred to carry a domestic connecting passenger on its own metal rather than transfer to American. Even before American announced its investment in China Southern, and before American began earnest talks with China Southern, it said that its relationship with Hainan had plateaued. There were further challenges to the partnership: Hainan operates from its own terminal at Beijing Capital (albeit from an older facility) that is a considerable distance from American's operation at terminal three. This would have lengthened what are already long minimum connection times. Hainan was not in favour of American co-locating its flights at Hainan's terminal in order to improve connections. American plans to resume Chicago-Beijing service with the opening of the new Beijing airport at Daxing. The implications are twofold: first, American will be able to secure more favourable slots. Second, American's partnership with China Southern will be further developed in terms of codeshare, but also terminal co-location and efficient connection handling. That should present a strong turnaround. Also helpful would be a joint venture. This is seemingly not a question of if, but rather a (complicated and uncertain) question of when.